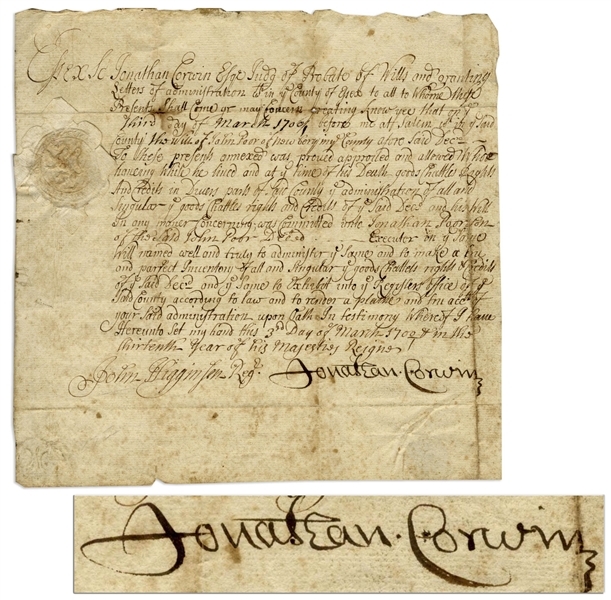 Document signed by Jonathan Corwin, one of the judges overseeing the Salem Witch Trials, known for signing several arrest warrants associated with the Trials, and for conducting hearings where three of the accused women gave testimony. 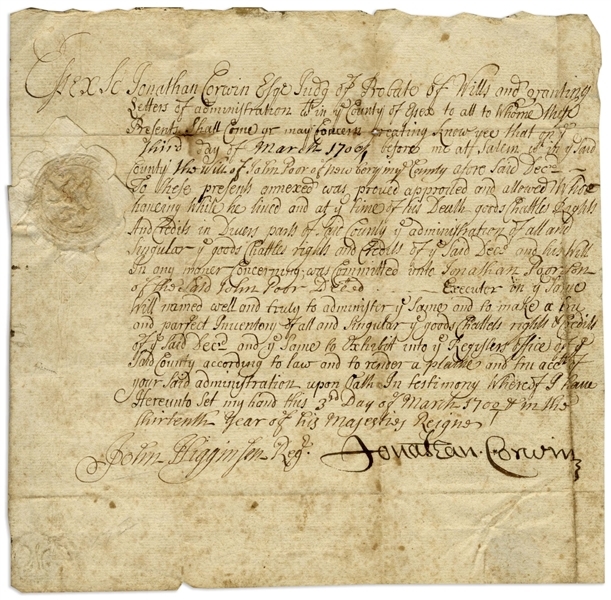 Document, dated 3 March 1700, is signed by Corwin in Salem as Probate Judge of Essex County, where he approves the will of John Poor, whose family has an interesting association with the Trials. John's brother, Daniel Poor, was a constable in Salem during the Trials, and was given custody of Samuel and Sarah Wardwell's child after they were both convicted of witchcraft in 1692. 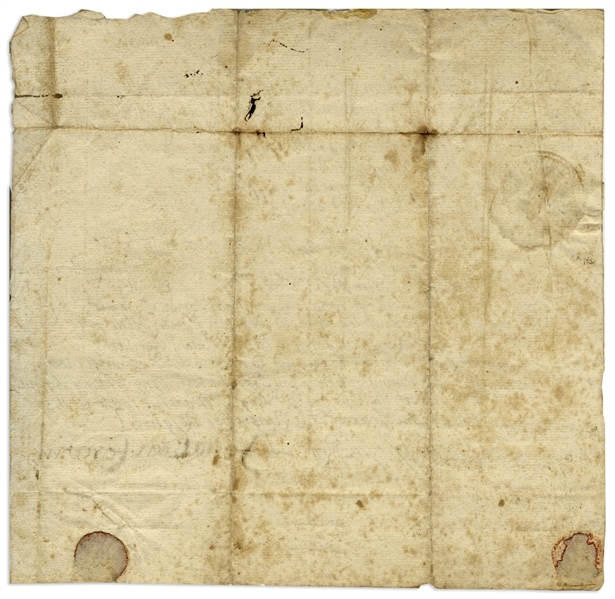 With intact wax-based paper seal, document measures 8.25'' x 8''. Normal age wear with expected toning and foxing. 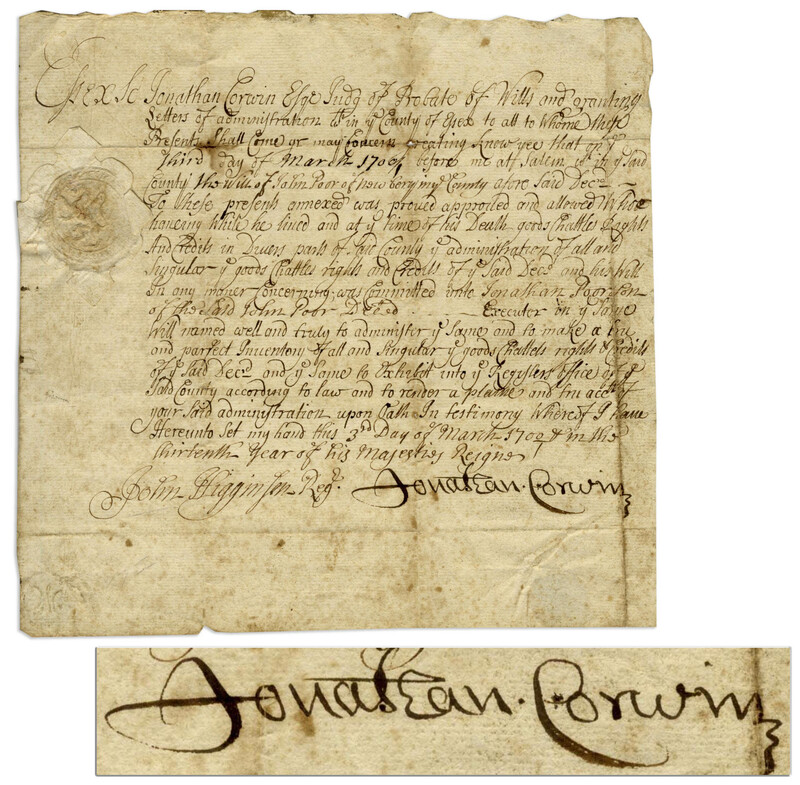 Overall very good condition given age, with an exceptionally large, bold signature by Corwin.